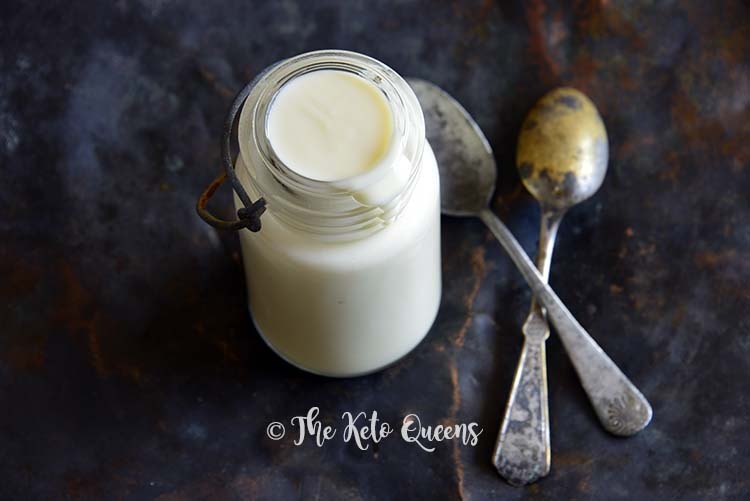 Low Carb Keto Sweetened Condensed Milk is lusciously thick, rich, and sweet with a creamy texture and slightly buttery, vanilla flavor. Since going keto, if you thought you had to give up your favorite desserts that call for sweetened condensed milk, we have a treat for you. Bonus, if you miss a drizzle of honey here or there (like on “noatmeal” or toasted keto bread), this recipe will become a staple in your house. 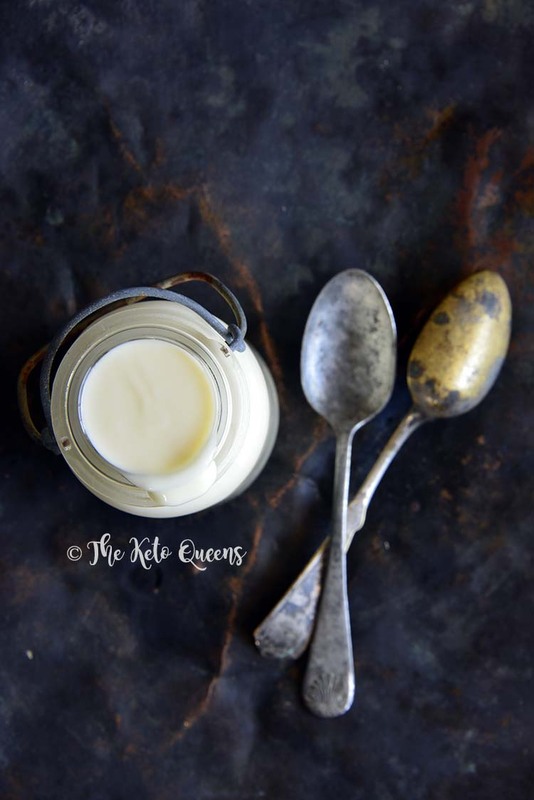 You won’t believe how easy it is to make keto sweetened condensed milk at home! Altogether, the process of making homemade sweetened condensed milk takes about 20 minutes from start to finish, and it just requires cooking down heavy whipping cream, butter, and sweetener on the stovetop. You’ll know it’s done when the mixture is rich and thick enough to coat the back of a wooden spoon. We also add in a touch of salt for balance and vanilla for subtle aroma and flavor! We’ve found that it’s best to store homemade sweetened condensed milk in a covered glass jar in the fridge. If stored like this, it should stay good for about two to three weeks. We’ve also had success freezing sweetened condensed milk. To do so, freeze it in an airtight container for up to three months. Let it thaw in the refrigerator overnight. If the sweetened condensed milk separates after freezing and thawing, you can briefly reheat it on the stovetop while whisking. Sweetened condensed milk is sweet, thick, and syrupy with a consistency similar to honey. Our recipe has a creamy, slightly buttery flavor and hint of vanilla. Add the cream, butter, Swerve Confectioners, stevia glycerite, and salt to a medium saucepan over medium heat. Bring to a boil and then turn the heat down and simmer until thickened, about 12 to 15 minutes, whisking occasionally. Cool to room temperature (it will thicken more as it cools), and then store it covered in the fridge for up to 5 days. Is it possible to make this with whipping cream? Because it’s hard for me to get heavy cream here in Kuching, Malaysia. Karen, Yes, this recipe should work fine with whipping cream. The cooking time may be a bit different, so keep a close eye on it. Please let us know how it goes if you give it a try! Can the stevia glycerite be substituted with just stevia drops or does the glycerite contribute to the consistency? Is is possible to make it with no stevia and add extra swerve? Sam, We haven’t tried this recipe using only Swerve, but it could work. The reason we like to use a combination of stevia + erythritol (here in the form of Swerve) is because stevia helps reduce the cooling effect of erythritol and erythritol helps cut the bitterness of stevia. If you decide to play with the recipe, let us know how it goes! Delicious! Tasted like vanilla pudding as I was licking the spoon after stirring! So far I haven’t used it in anything yet but will be doing so soon! Can this be used in the instant pot for making yogurt? Shelli, I’m not sure I understand your question, but this would be delicious as a sweetened for whole-milk yogurt! As far as making this sweetened condensed milk in the Instant Pot, yes, I think it could work well, but I’d need to test the recipe to be able to tell you how long to cook it. If you try making this in an Instant Pot, please let us know how it goes! Any suggestions on dairy free alternative? Has anyone successfully made with coconut cream? Would I need to make variations to other ingredients? Cassy, We haven’t used coconut cream to make this recipe, but we think it could potentially work with full-fat unsweetened canned coconut milk. If you decide to experiment with the recipe, please let us know how it goes! 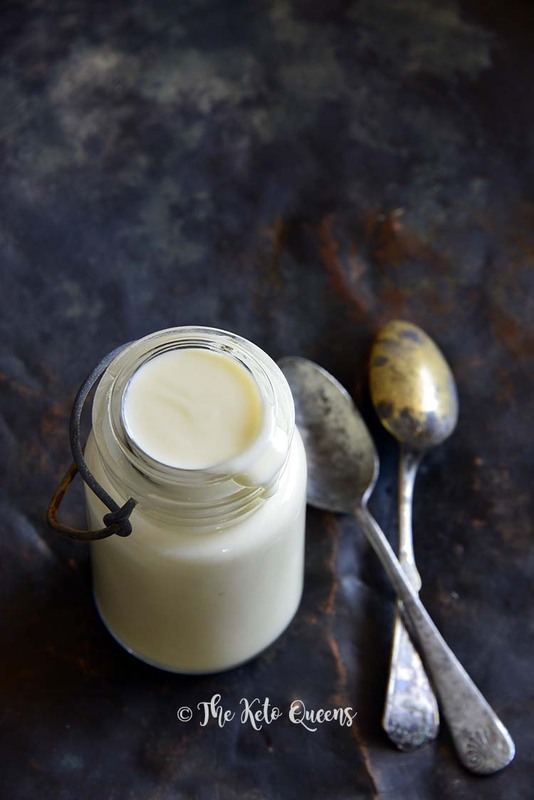 Zoe, In the post above, because it’s a commonly asked question, we were talking about regular sweetened condensed milk, not this recipe – sorry for the confusion! This recipe stays good for at least 5 days in the fridge (every time we tested it, it was gone by the 5th day, so it may actually stay good for longer). 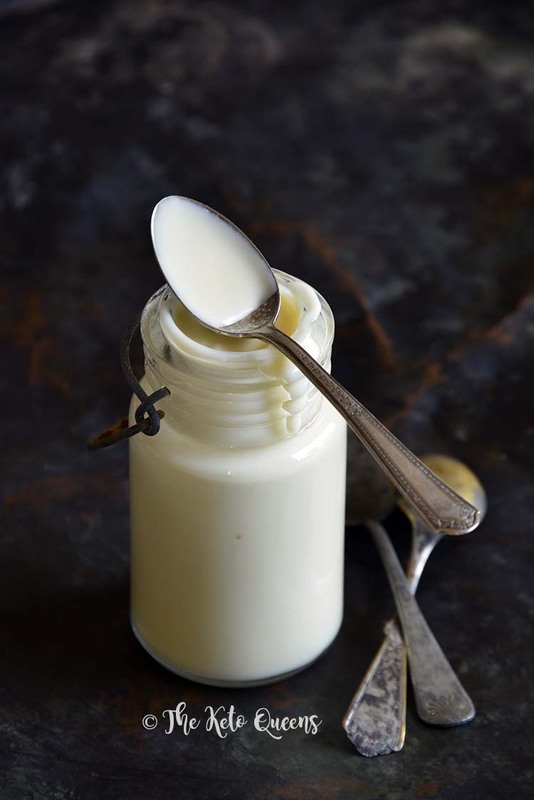 But note that the longer this low carb sweetened condensed milk is left in the fridge, the more it has the tendency to stiffen up, almost to the consistency of a spoonable caramel. If you need it to stay runny like what’s shown in the photos, we recommend making it the day you want to use it. Also, be sure not to overcook because it can get really thick, and remember that it thickens more as it cools. Hope this helps! And we hope you enjoy it – Happy Holidays! Could you use this to make a keto key lime pie? What brand stevia gylcerite did you use? I’m having a hard time finding this. Rosalie, We use the NOW Foods Stevia Glycerite and get it on Amazon. This recipe was perfect as ice cream for a birthday party! I made the recipe exactly as written, then created small batches, adding pistachios to one, spiced walnuts to another, and mixed berries with chocolate to another. Into the freezer, beat it every couple of hours, and the results put a smile on me this morning. A plain batch goes in today. My daughter will be so thrilled to join in the feast! Thank you! WOW! This sounds like such a great idea! I love pistachio ice cream! I think I’m going to try to make that is weekend. Thank you for the suggestion!